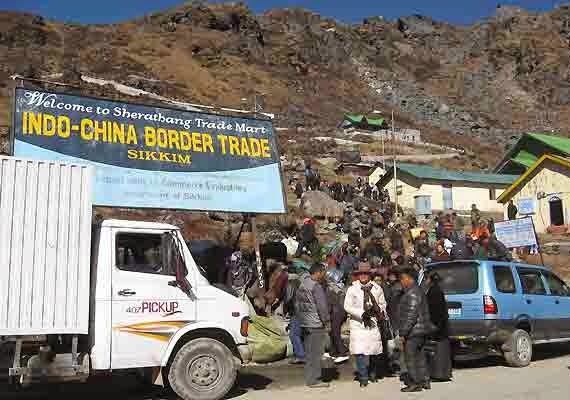 The 9th season of international border trade between India and China at Nathu la will begin on May 4. The yearly trading season that usually begins on May 1 and ends on May 30 started nine years ago in 2006. Sikkim’s commerce and industry ministry, which organises the trade, has decided to start the annual trading season this year from May 4, as May 1 and 2 are non-trading days and May 3 is a Sunday. The start of the Nathu la Trading Season 2015 will be marked by a brief function for officially inaugurating the event. The 9th season of international border trade between India and China at Nathu la will begin on May 4. The yearly trading season that usually begins on May 1 and ends on May 30 started nine years ago in 2006.